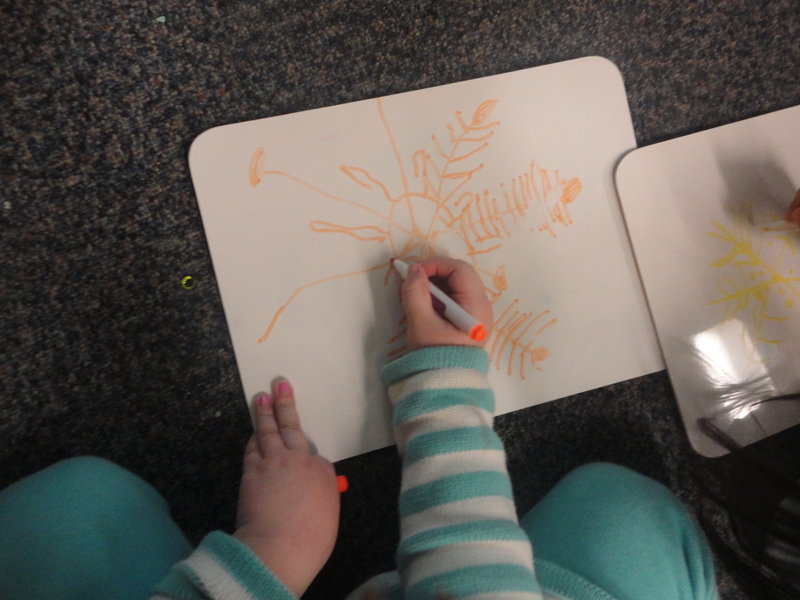 This year I added a new lesson format to our weekly schedule: Art and Fine Motor Instruction. 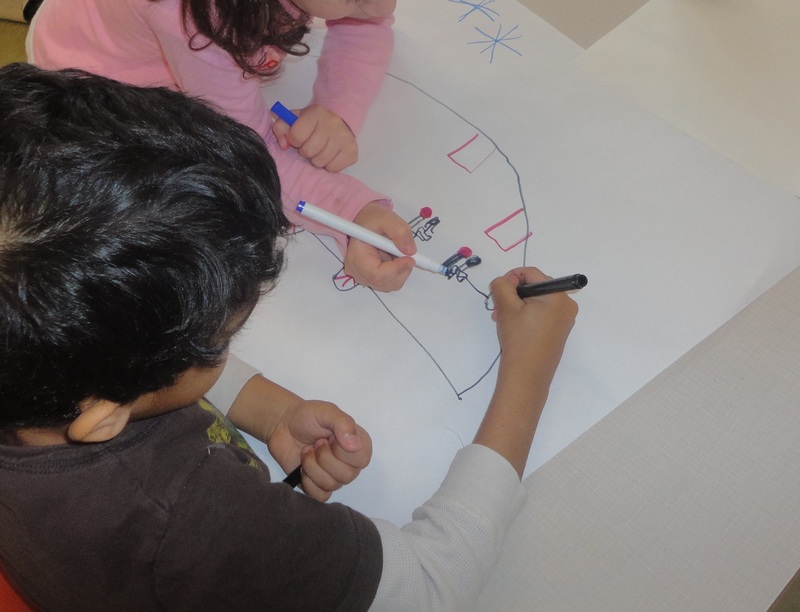 During these weekly lessons we focus on enhancing the children’s fine motor skills through guided instruction. I choose our focus based on the children’s interests and needs or match our drawing practice to the inquiry projects we are working on. During the lesson, each student has their own 9 x 12 whiteboard and whiteboard marker with an eraser. I find that the non-permanence of the whiteboard is especially wonderful for this type of practice because it is totally risk-free. 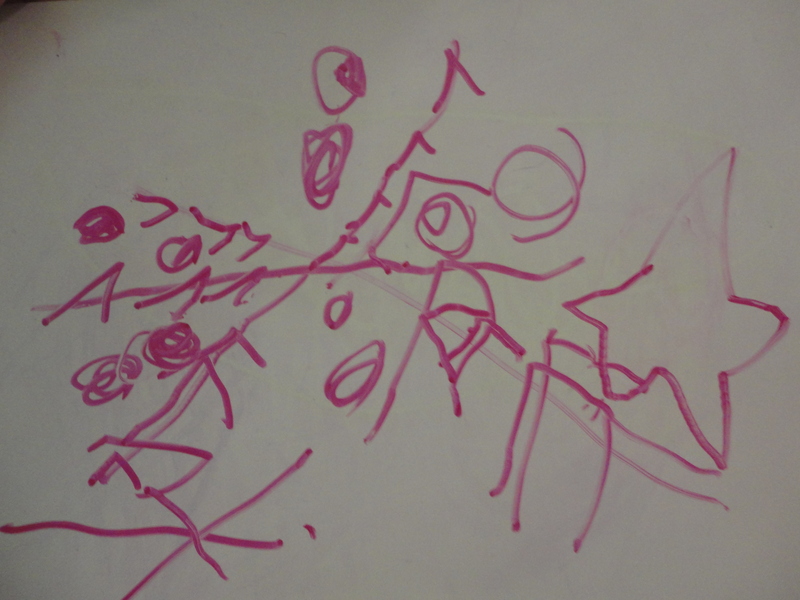 If the children draw something they don’t like, they can simply erase it and try again without getting frustrated. The format is completely accessible for all my learners – even those that are still learning how to grip a writing utensil correctly. I have to say, our weekly art lesson is probably my most treasured time of the week. The children are so engaged, focused, and excited. They always leave the lesson feeling more confident as artists than they did when they began. 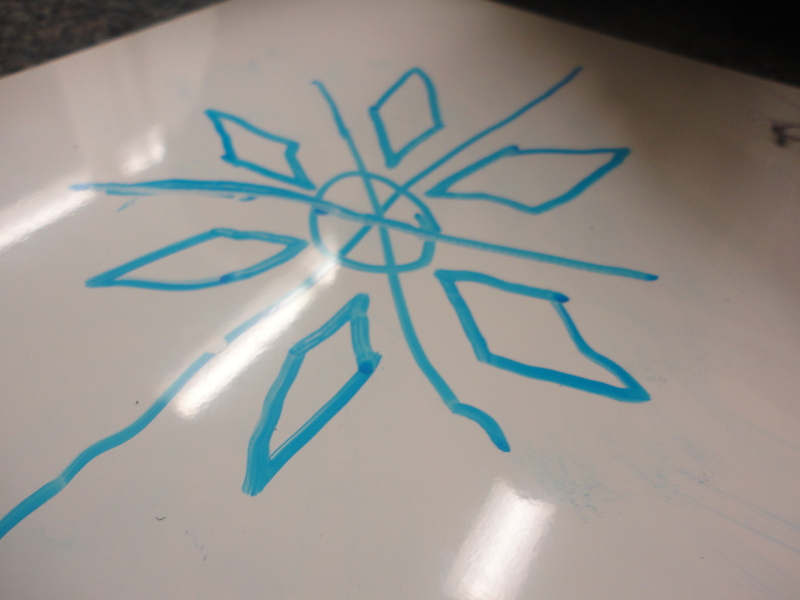 After watching the video a few times, I was able to pause it at certain points and, using the pens on my SMARTBoard, highlight the lines and shapes that are used to create a snowflake design. 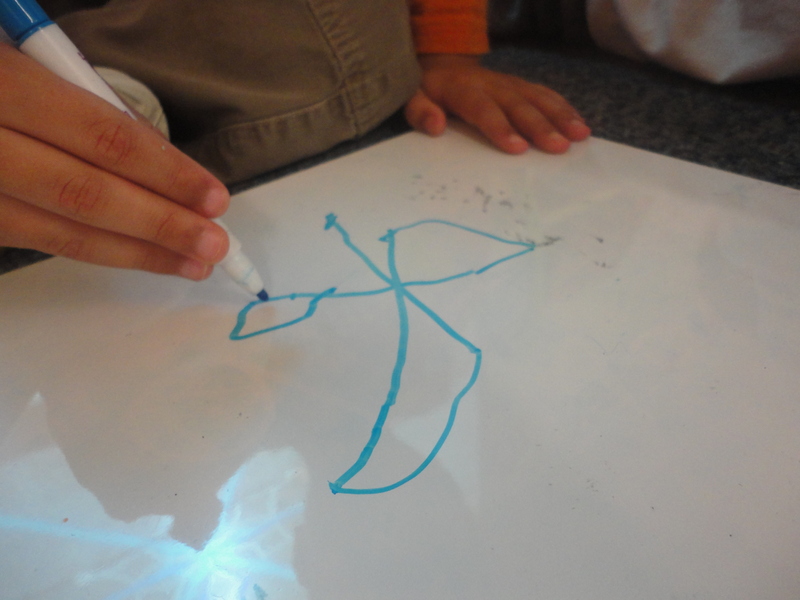 The children immediately began trying to create their own snowflakes on their boards. 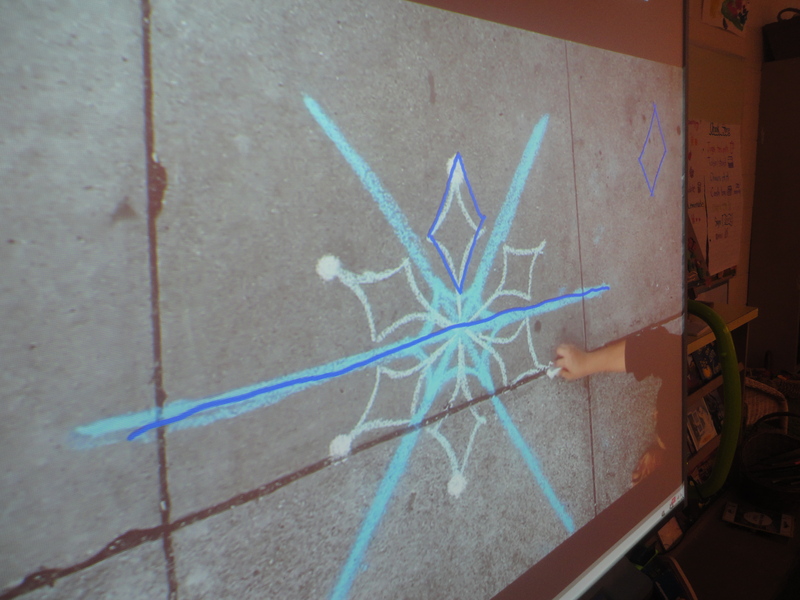 They noticed shapes and designs (diamonds, webs, dots, etc.) and experimented with symmetry. 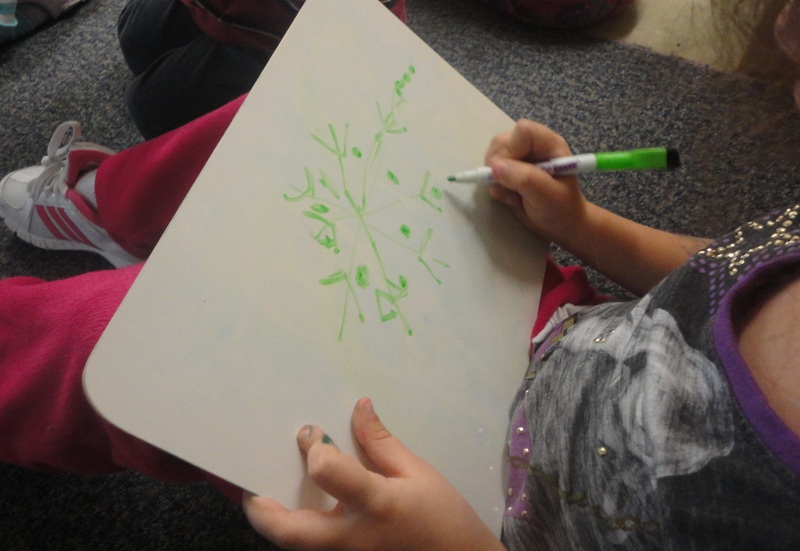 We stopped on several of the snowflake designs so the children could try them out. At the end of the lesson, the children excitedly held up their boards for all to see. They were so proud of themselves as artists! 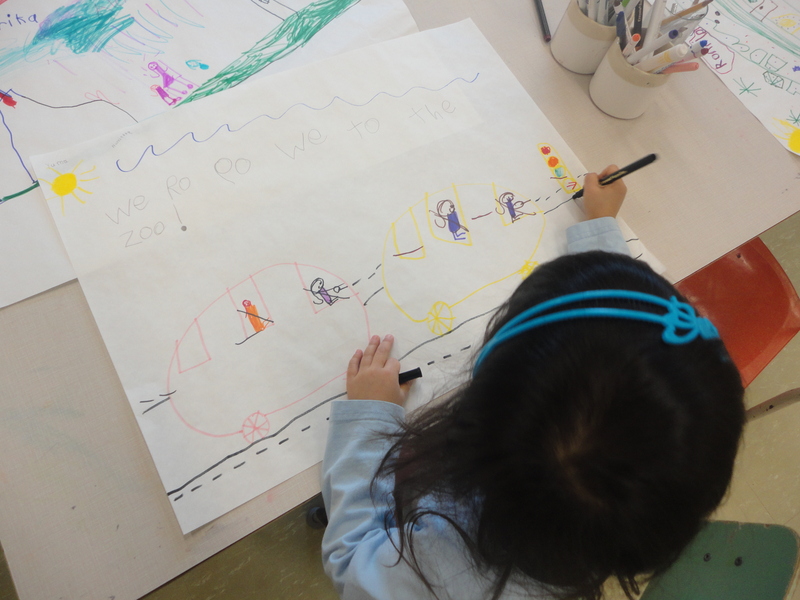 This year, the writing table is one of the most popular centres in our classroom. I often hear from visitors to our class that teachers are having a hard time getting their kids to visit the writing table. My answer? BIG paper! The biggest paper you can find! 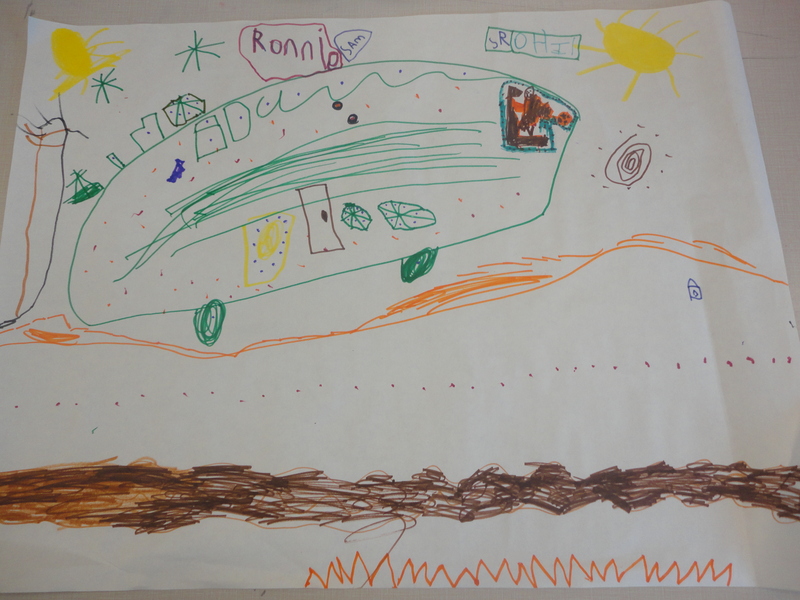 In my experience, children are inspired by the prospect of a giant canvas. In my class this week, we added large paper (18×24) to the writing table. 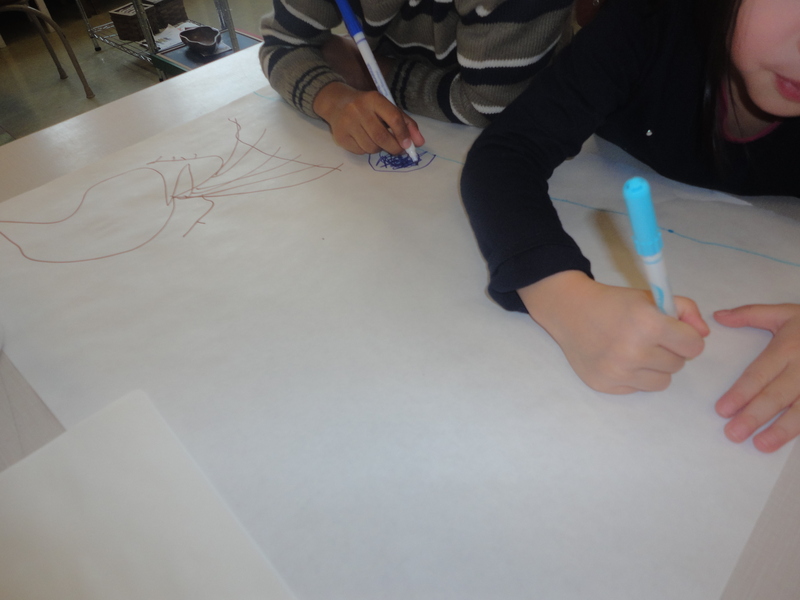 We are learning about teamwork and working together this month as part of our board’s character education program, so we discussed with the class that having large paper would provide an excellent opportunity for them to work with a partner (or two) to create a drawing or story. I was so pleased to see the children working together to choose a theme/topic and discuss the elements they wanted to include. Children easily shared materials and workspace, and were just as proud of the way they collaborated as they were with their finished products. If you haven’t given large paper a go, I encourage you to give it a try! A fabulous resource for talking about nature with young children is Discovering Nature With Young Children by Ingrid Chalufour and Karen Worth. These authors have really thought about all aspects of exploring nature with young children and have presented their ideas in a practical and useful guide. Many of the ideas for this experience I borrowed from this resource. 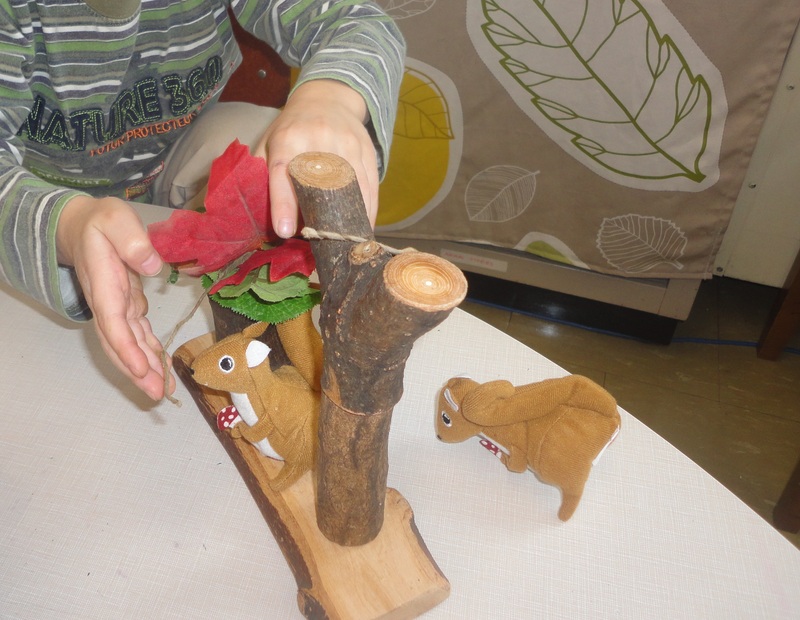 After our bird nest explorations the children were beginning to talk about other animals that live in nests. 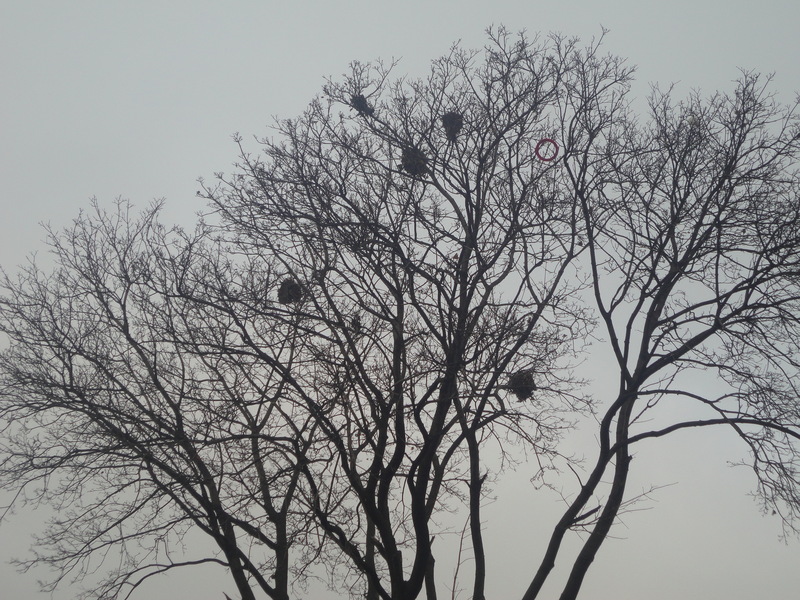 Since all the leaves had finally fallen from the trees in our neighbourhood, more nests had become visible. I had a book about squirrel nests, and many children said that they had spotted some squirrel nests in the trees on their way to school. I thought that this could be a good focus for our nature walk. 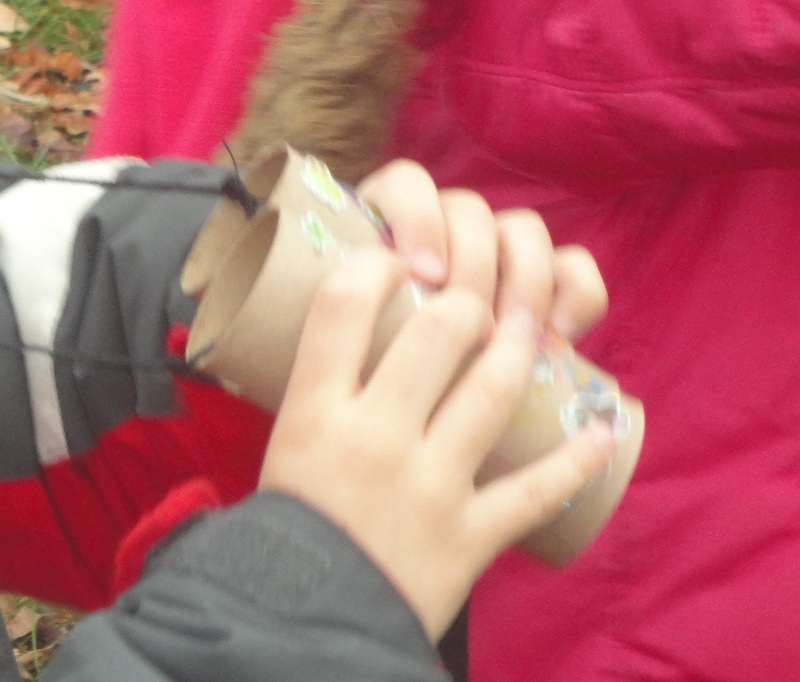 To build excitement for our squirrel nest hunt, I also provided the children with materials to make ‘binoculars’ (of the paper tube variety…). Small details like this can really help build excitement and help children focus on the goal at hand. I could tell my students felt like professional science explorers with their handmade binoculars in hand. A.M.: I wonder why the squirrel ran away. Y.T: I wonder why the squirrel was watching us. J.K: Maybe the squirrel thought we might put him in a cage. J.M. : I think the squirrel ran away because he thought we were going to eat him. F.S. : I wonder why squirrels are afraid of people. I wonder why squirrel nests are bigger than birds’ nests. I wonder how many squirrels live in one nest. I wonder if squirrels have acorns in their nests. I wonder how squirrels know how to make nests. 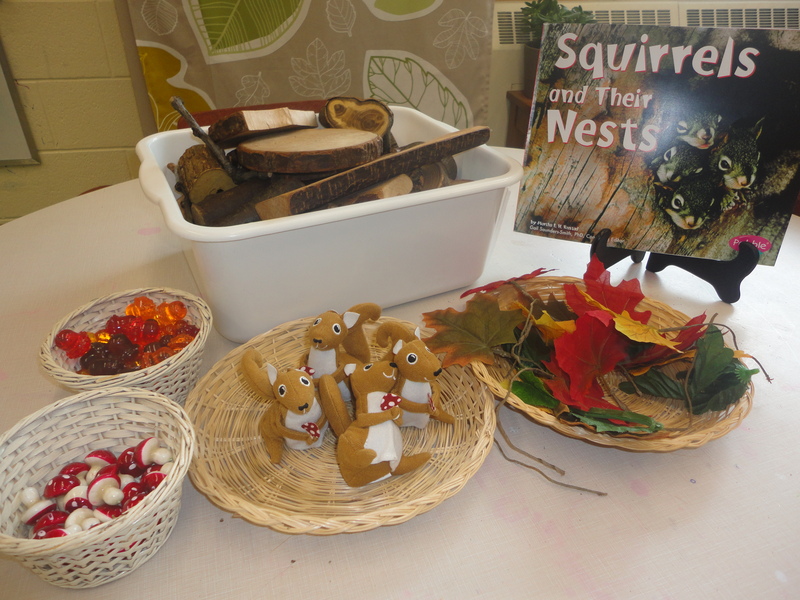 As a follow up to our nature walk, we created a provocation at the science table that asked the children to make a nest for our little squirrels. 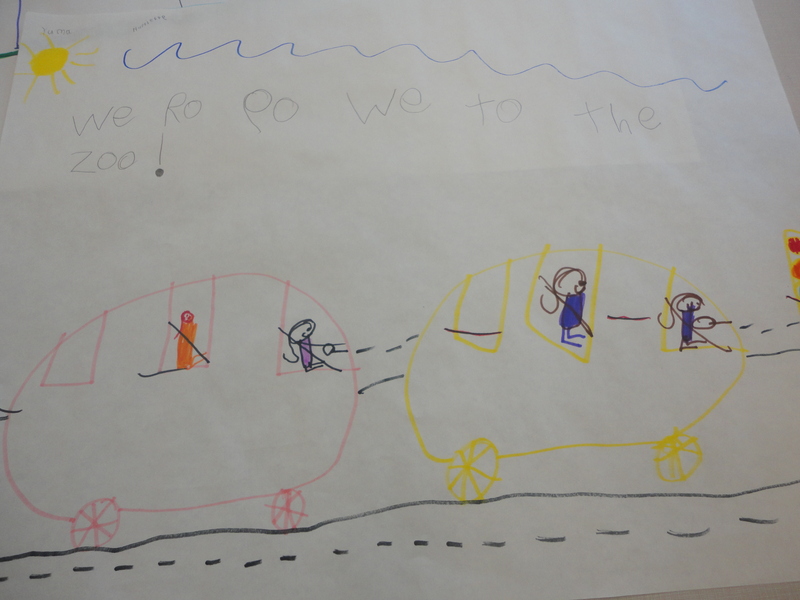 Again, it was another way for children to ask questions, demonstrate what they learned from our discoveries, and connect more deeply with the topic.